A warm soak in a luxurious bath with a few drops of Lavender infused in a handful ofEpsom salt is excellent for strained or sore muscles. As the relaxing scent wafts through the bathroom, it will quiet your body and your busy mind. Don’t worry, gentleman can use it too! 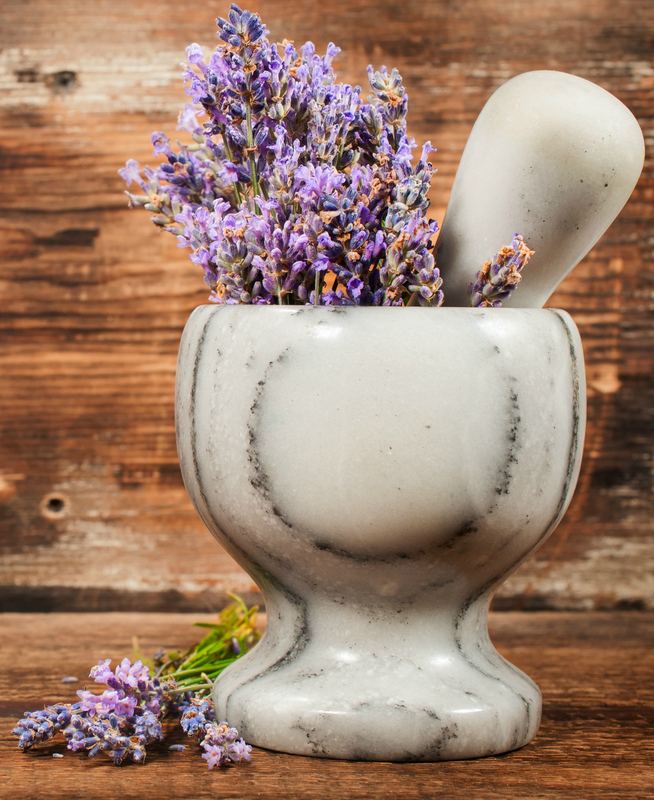 Lavender is one of the most valuable oils for the treatment of acne because it inhibits bacteria that may cause the skin infection and it reduces scarring! What lady (or gentleman) doesn’t want to look their very best? Those little (or big) breakouts can cause far too many tears and stress. I just apply a drop or two to problem areas on my skin and watch it work like magic! My skin used to make me miserable – now that I’m using Lavender on the problem areas, I feel so much more confident and happy! Add 5 drops of Lavender to a hot foot bath and relax while you’re feet soak. The molecules of essential oils are so tiny that they can penetrate the skin and enter the blood stream, so their stress-relieving properties get to the heart of the problem right away! This is perfect for a homemade spa treatment – so invite your sisters or a few friends to join you! 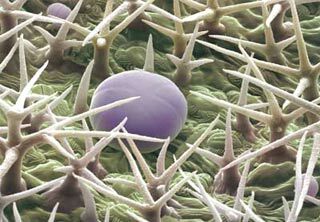 Lavender helps heal cuts and scrapes due to its antibacterial properties. Just the other day, I went to get a pedicure and the woman doing it decided that ripping off my cuticle was a good idea. It bled (and hurt!) a LOT and by the time I got home, it wasblack, purple and swollen. The next day, it was starting to look infected, so I put a few drops of Young Living Therapeutic Grade Lavender on the troubled spot. The following day, I added Purification to my regiment. By the following day, it was looking much better, and just a day days later, the skin had returned to normal! Massage a few drops of lavender oil, along with a little coconut oil (or Young Living’s Rose Ointment) into dry, itchy skin. When I can’t sleep, I put 2-3 drops of lavender on the bottoms of my feet. I also like to add a few drops of lavender to water in a spray bottle, and spray it on my pillow as well! Massage a few drops of lavender into your lower abdomen and apply a hot compress to the area. That awful moment when you touch that pan that just came out of the oven or spill boiling soup on your arm – Lavender is suddenly your best friend! Just put some drops on the burn and feel the soothing relief in a matter of moments. I can’t even count the number of times I’ve burned myself and Lavender has always come to my rescue! Basically this oil has MANY wonderful uses! I don’t know how I ever lived without it! So, Ma chère, keep Lavender on hand – for beauty and health emergencies! That lovely little bottle contains a world of possibilities. To get started using therapeutic grade essential oils with your family, I recommend purchasing our Premium Starter Kit! This way, you’ll enjoy wholesale prices all the time! It includes eleven of Young Living’s most popular essential oil singles and blends, an ultrasonic diffuser (worth $100! 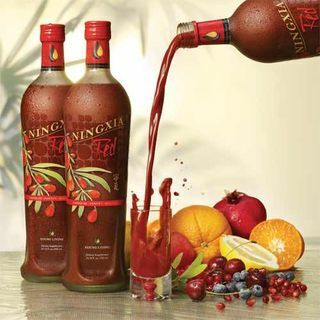 ), essential oil samples for sharing, and 2 NingXia Red immune boosting drinks! Get started now! 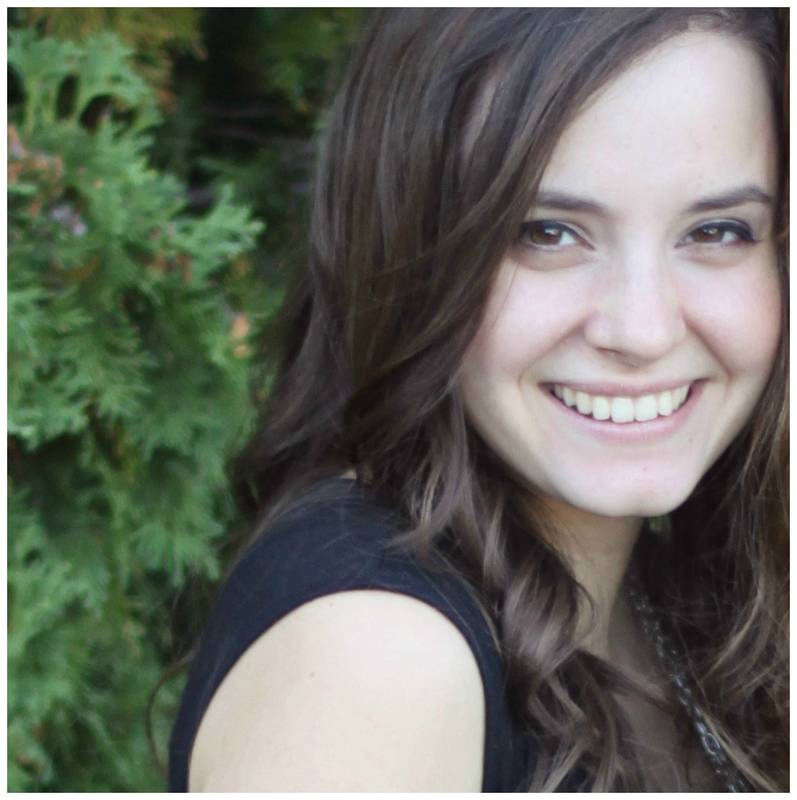 By the way, I am not a doctor – just a daughter who uses essential oils in her own family. Please know that any information provided on Therapeutically Yours is for educational purposes only. It is not intended to prescribe, diagnose, treat, cure, or prevent any disease. It is your responsibility to educate yourself and address any health or medical needs you may have with your physician. Please seek professional help when needed. This is a special drawing for a FREE 15 ml bottle of Young Living Therapeutic Grade Lavender essential oil! Mandatory First Entry! Visit the new Therapeutically Yours Facebook page. “LIKE” it. Then comment here, stating that you did so. This counts as 1 entry. You must either leave your email in your comment (so that I can contact you if you win) or email it to me at simplyromantique[at]gmail.com . The winner of the giveaway must have a US shipping address. The drawing will take place on Monday, October 22 (my birthday!). When you do this, your name will be put in a special drawing for a FREE 15 ml bottle of Young Living Therapeutic Grade Lavender essential oil! Stay on the look out! More give-aways to come! The Essential Rewards Program from James McDonald on Vimeo. If you’re like me, you like to budget for what you need each month. That’s one of the reasons I like the Essential Rewards Programs. Well, there’s that, and I like earning “points” for free products! So, I wanted to let you know about a great way to save even more money while learning about and using Therapeutic Grade Essential Oils. You can join Essential Rewards when you place your first order, or you can easily join later. If you are serious about learning more about, and regularly using, Therapeutic Grade Essential Oils, I highly recommend joining this program. And make sure to modify your order each month, so that you can experiment with the different oils and products. Don’t always get the same thing! *To qualify for certain bonuses, you must maintain an Essential Reward order of 100 PV or more. A: You can sign up in one of three easy ways. Online through your Virtual Office when you initially join Young Living, or at a later date in your Virtual Office, after becoming a YL member. On the phone at 1-800-371-2928 after becoming a YL member. By faxing a signed Essential Rewards agreement to 1-866-203-5666 after becoming a YL member. Q: Can I change the items in my Essential Rewards order and still receive all of the benefits of the program? A: Yes. You can change the items anytime (it is recommended to change the oils and products you get each month so you can experience the wellness options YL has available), up to midnight on your processing date (determined by you when you enroll). Q: Can I make changes to my Essential Rewards order online? A: Yes. You can make changes to your Essential Rewards order online anytime by logging in to your Virtual Office. However, to cancel your order, you’ll need to contact Distributor Network Services. Q: Do I need to submit the Essential Rewards agreement before my Essential Rewards order ships? A: If you sign up for Essential Rewards by phone, you’ll have a 30-day grace period to submit the agreement. If you sign up through your Virtual Office (easiest), the virtual agreement is completed as part of the online process before you begin the Essential Rewards set up. You can also mail or fax a completed form to Young Living. A: The first six consecutive months, you receive points worth 10% of the PV of each Essential Rewards order. The second six consecutive months, you receive points worth 15% of the PV of each Essential Rewards order. At 13 months and beyond, you receive points worth 20% of the PV of each Essential Rewards order. A: If you cancel your Essential Rewards order, you forfeit all your unused Essential Rewards points and your monthly participation in the program is reset to zero. You also forfeit any points earned on products that you later return. If you must cancel your Essential Rewards it is recommended you call in and redeem your points before canceling. Q: How soon can I redeem points that I earn? A: You earn points the minute your order is shipped. You can redeem points anytime after you’ve participated in the program for two months. A: When redeeming Essential Rewards points, use the PV amount rather than the dollar value. For example, if you have 200 points saved up, you can redeem them for any product with a PV value up to 200 PV (usually equal to the dollar value). Q: Can I use my points for promotional products, such as the 10% off monthly offers? A: You can buy any regularly available products at regular price as part of your Essential Rewards order, but you will not receive the discounted pricing if the item is part of your Essential Rewards points order. Some promotional items may not be available for purchase using Essential Rewards points at all. Contact Distributor Network Services if you have questions about specific items. And please feel free to contact me with any questions you may have. 309-740-1630. *To qualify for Young Living’s bonuses, your monthly Essential Rewards order must be 100 PV or more. Accidents happen; so it’s a good idea to be prepared ahead of time in case of an emergency. Everyone’s skin type is different, and essential oils are powerful; so if you use an essential oil that seems to irritate or burn your skin, you should dilute the oil by rubbing a carrier oil (olive oil, almond oil…even vegetable oil) into the spot. This dilutes the oil. Don’t use water, as oil and water don’t mix. Once you’ve emulsified the oil this way, you can wash it away with soap and water; but always dilute it with a carrier oil first. While some people have sensitive skin, everyone has sensitive eyes. So, what do you do if you get essential oils in your eyes? Since essential oils and water do not mix, you need a substance that is safe to use in your eyes and that will quickly emulsify the essential oil, allowing water to quickly flush it all away. The answer is milk or cream. If you get essential oils in your eyes, quickly flush the eye with milk or cream until it stop burning. This should happen almost immediately. At that point, you can flush the eyes with fresh water to remove the milk. Some aromatherapy authors advise using a fixed oil in the eye, but while this is good on the skin, it doesn’t remove the essential oil quickly enough from the eye. And while it may not hurt, it’s not fun to have olive oil in your eye either. We had the opportunity to see this work twice this past week in two different families. Both times, a child had accidentally gotten a hold of the peppermint oil and rubbed it into her eye. Both times, the milk worked immediately. During an emergency is not the time to look up what to do. Know what to do ahead of time! Essential Oils: What’s the Difference? Grade A oils are pure, therapeutic, and superior quality. They are made from organically grown plants, and are expertly distilled at the proper temperatures. “Virgin” soil may also be used. Grade B oils are the most common essential oil and they are sometimes labeled as “pure.” However, they may still contain pesticides, fertilizers, synthetics, extenders, or carrier oils (oils only have to have 5% of the actual oil to be labeled “pure”). While Grade B oils are considered “food grade,” I would never recommend ingesting these oils, since some could be toxic. Also, “pure” and “therapeutic grade” are not the same thing. An oil can be pure (not cut with other substances) and still not be therapeutic grade, since the distillation process, quality of the plant, timing between harvest and distillation, and proper testing all effect the medicinal quality of the oil. Grade C are perfume grade and usually contain the same type of adulterating chemicals that Grade B oils may contain. 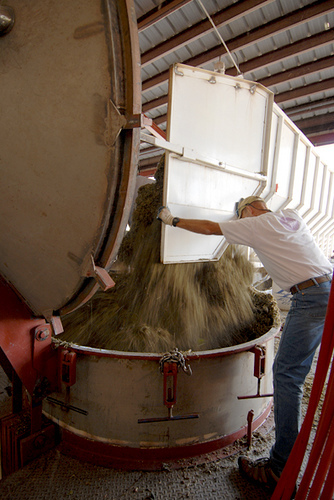 They also often contain solvents which are used to gain a higher yield of oil per harvest. Solvents are not healthy. Still, these oils are sometimes used in aromatherapy or for making perfume products. Floral Water is a byproduct of the distillation process. It can be very high quality if superior, organic material is used and it comes from a “Grade A” distillation process. However if it is from compromised raw materials and/or a poor distillation process, it will be a very low quality. Floral Water is often used for more expensive oils, such as Rose Oil, since it takes 5000 pounds of roses to make just one 1 pound of essential oil. Synthetic fragrance oils may come close in duplicating the smell of the pure botanical, but the complex chemical components of each essential oil created in nature determine its true benefits. In other words, synthetic fragrance oils do not have medicinal properties; they are NOT suitable for aromatherapy, and they are just plain bad for you. That is why many people complain that perfumes and air fresheners give them a headache. Most have never experienced pure essential oils. 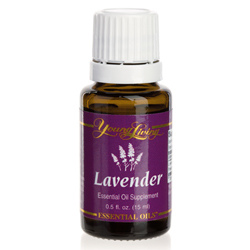 Watch THIS to find out what it takes to create one bottle of Young Living Essential Oil®. 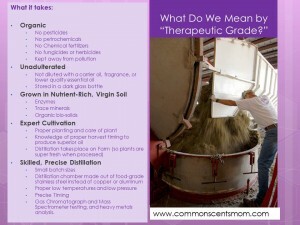 What does “Therapeutic Grade” really mean and why is it important? Click HERE to find out. Through cultivation on the four Young Living farms, Young Living Essential Oils has mastered the creation of pure, potent essential oils. The company takes this knowledge around the world to co-op farms to certify that these farms’ growing processes meet Young Living’s strict quality standards. To find out how you can get wholesale prices (without having to sell anything), CLICK HERE! Do you know the difference between a fatty oil and an essential oil? Could the lavender oil you see on the shelf at the health food store labeled as “pure” possibly be cut with synthetic chemicals, diluted, or extracted from the plant using solvents? Does it really matter that much what brand you buy? I don’t think most people understand what essential oils are, or exactly why quality matters. This lack of knowledge could create a real safety issue. Read on because there is a lot of misinformation out there. Fatty oils come from nuts, seeds, and vegetables (think olive oil, coconut oil, grapeseed oil etc.). These are good for cooking, for your skin, and for diluting essential oils. Many are very nutritious! But, they are not aromatic; and, unlike essential oils, their long chain molecules are too large to penetrate the skin. Essential oils are liquid, volatile, organic compounds that come from the flowers, shrubs, trees, roots, and bushes that God gave us at Creation. These are aromatic oils which have been carefully extracted through steam distillation or cold expression; and, are highly concentrated. The fact that they are volatile means that they pass off readily into a vapor – that’s what makes them aromatic. Because they are so concentrated, just a drop or two is usually all you need. And the molecules of essential oils are so small they are able to penetrate the skin and get into the blood stream. That’s why one drop of Lavender or Peace & Calming on the bottoms of your feet can help you relax and get to sleep. Wisdom should always be used in dealing with essential oils because they are very powerful; but when you’re using a truly pure product that has not been cut with other chemicals or distilled using solvents etc. they are very safe and effective – and honestly, amazing. This is the warning label on a bottle of frankincense produced by another popular essential oil company. Even their peppermint is labeled this way! To me, these warnings are a huge red flag! The reason that I feel so strongly about quality, and adamantly stress the understanding that most essential oils on the market are NOT therapeutic grade (by the definition I give at the link below), is because I believe ignorance in this area is a crucial safety issue for families. I can use my Young Living oils internally (with wisdom) on myself and my family without fear because I trust their purity. I know the process. I have family members who have watched them distill the plants and walked their farms. All of Young Living’s oils that are safe for ingestion are labelled as a “supplement.” They are GRAS (generally regarded as safe). I don’t want anyone to see the way I’m using my Young Living oils and try the same thing at home with their possibly toxic oils! That is scary! My Young Living frankincense can be used internally, aromatically, and on the skin (undiluted). I use it all the time! In fact, as you can see, frankincense was a great gift to my sister, Virginia Grace, after her accident! And, yes, we applied it neat (undiluted) to her abrasions! 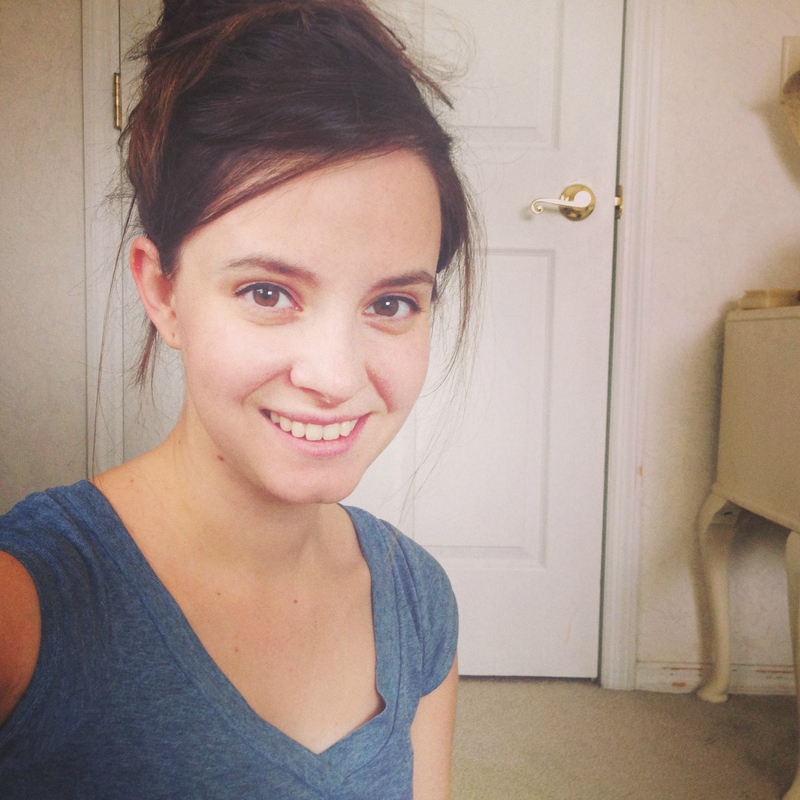 She experienced no burning or pain and you can see for yourself at the link above how quickly she healed! I wouldn’t have wanted to use a carrier oil, as we were trying to keep the area very sterile. Note: Certain oils are considered “spicy” or “hot” oils (i.e. oregano, cinnamon, wintergreen, peppermint, lemongrass) and should be diluted for most people. That being said, peppermint is considered a spicy oil and everyone in our family (including children) are able to use it neat with no problem, so sometimes it depends on the person’s sensitivity, as well as where it is being applied. Do you realize that if I put ten drops of lavender in a bottle of sweet almond oil most people would smell it and think it was a “pure” bottle of essential oils? They wouldn’t know the difference. That’s what often happens. People believe they’re getting a “great deal” on their $7.00 bottle of lavender; when, in fact, they just spent $7.00 for ten drops of an inferior essential oil. In addition, it is very likely that even those ten drops have no therapeutic value, and may be adulterated with synthetics! In this case, they are getting ripped off! Do some research. 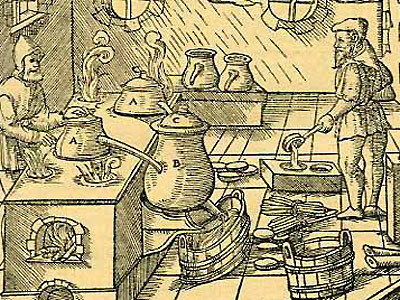 You will find that most essential oil companies are just brokers. They’re buying their oils from various sources around the world in barrels, and they’re bottling it themselves. Most oils are perfume grade and are cut with other chemicals. That is scary when you think people may try to use those oils on their children the same way I’m using Young Living oils. I have to stress the purity issue out of a concern for your safety. Most essential oils on the market are not “therapeutic grade,” and most are not 100% pure, regardless of how they are labeled. The problem is that these terms are not regulated by anyone. So, all I can do is tell you what WE mean when we use the term “therapeutic grade,” and then invite you to compare that definition to other companies. In fact, as far as I know, Young Living (YL) is the only company that owns their own farms and distilleries; so that right there disqualifies most other companies. 1. DO NOT INGEST – If a bottle of food-based oils (cinnamon, peppermint, oregano etc.) is labeled this way, that is a red flag to me. YL oils labeled as “supplements” are GRAS (generally regarded as safe) for internal consumption by the the FDA. 2. DO NOT APPLY TO SKIN UNDILUTED – Certain “spicy” oils should be diluted, but many YL oils can be applied neat (undiluted). If a mild oil like lavender or frankincense has this type of warning I would beware. 3. $$$ – Quality essential oils cost a lot of money to grow and distill. If a bottle of lavender costs you $5.00, you can bet it is either cut with a carrier oil (which means you’re getting ripped off) or it’s very poor quality. 4. EXPIRATION DATE – Properly stored essential oils (excluding citrus) do not go bad. If an essential oil has an expiration date, it probably means it is cut with a carrier oil (which will eventually go rancid). Read more here: What Does Therapeutic Grade Mean? To get started using therapeutic grade essential oils with your family, I recommend purchasing our Premium Starter Kit! This way, you’ll enjoy wholesale prices all the time! It includes ten of Young Living’s most popular essential oil singles and blends, an ultrasonic diffuser (worth $100.00! ), essential oil samples for sharing, and 2 NingXia Red immune boosting drinks! 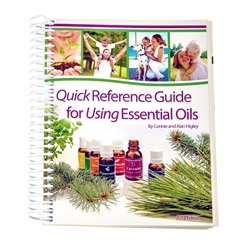 In addition, I’ll send you a free essential oil reference book to help you learn how to start using your essential oils! Get Started Now! By the way, I am not a doctor – just a woman who uses essential oils in her own family. Please know that any information provided on Therapeutically Yours is for educational purposes only. It is not intended to prescribe, diagnose, treat, cure, or prevent any disease. It is your responsibility to educate yourself and address any health or medical needs you may have with your physician. Please seek professional help when needed. 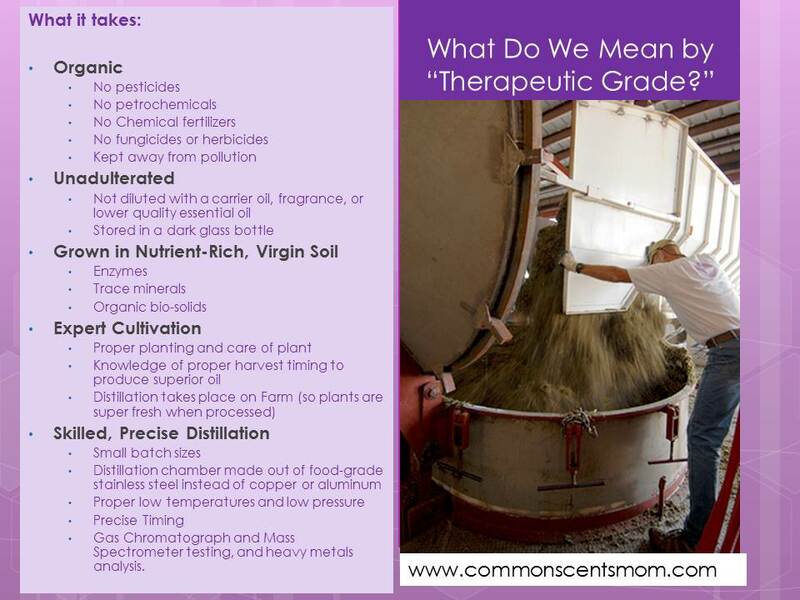 Since the term “therapeutic grade essential oils” is not regulated by any independent group, what do I mean when I use the term? 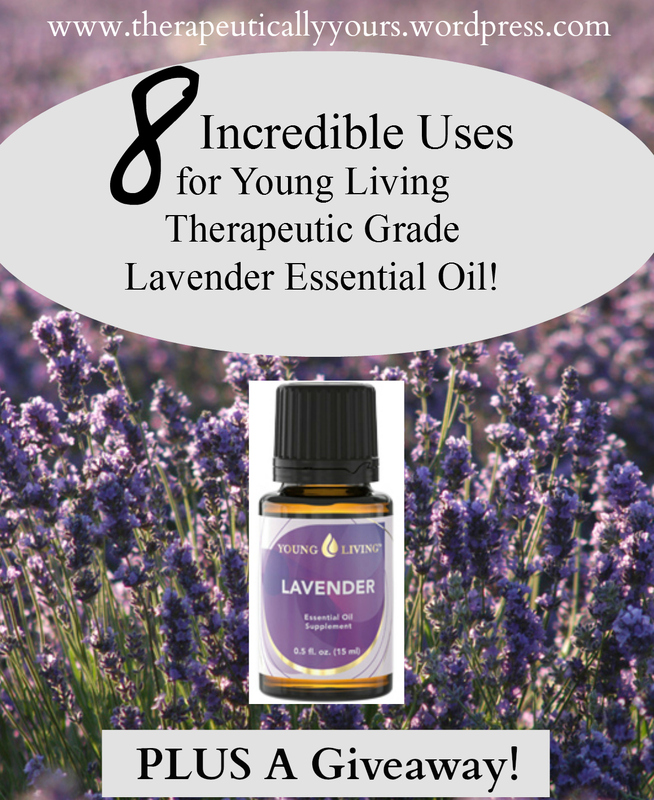 And what is the difference between the therapeutic grade essential oils provided by Young Living and other over-the-counter essential oils that claim to be ‘pure’? The distinction is of utmost importance, since 90% of the essential oils marketed in the United States would not qualify. To start with, ‘therapeutic-grade’ is not simply an indication of purity. Young Living produces oils that have an unusually high concentration of therapeutic components. You can’t get that without having your own farms and doing your own distillations – or in the case of Frankincense, have access to the finest plants (trees) in the world. To get these high concentrations of therapeutic components, Young Living uses a process that involves strict attention to detail right from the seeds sown to the plants harvested. This ensures that the oils they provide are the purest, most potent essential oils available. This precise, detailed method is known as the ‘Seed to Seal’ process. The fact that Young Living’s oils are organic is more important than food being organic. Since essential oils are the concentrated essence of the plant, any contaminants in the soil or on the plant will become present in the oil. 1. Grade A oils are pure, therapeutic, and superior quality. They are usually made from organically grown plants, and are distilled at the proper temperatures. “Virgin” soil may also be used. 2. Grade B oils are the most common essential oil and they are sometimes labeled as “pure.” However, they may still contain pesticides, fertilizers, synthetics, extenders, or carrier oils. While Grade B oils are considered “food grade,” I would never recommend ingesting these oils. 3. Grade C are perfume grade and usually contain the same type of adulterating chemicals as Grade B oils. 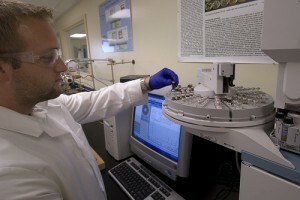 They also often contain solvents which are used to gain a higher yield of oil per harvest. Solvents are not healthy. Still, these oils are sometimes used in aromatherapy or for making perfume products. 4. Floral Water is a byproduct of the distillation process. It can be very high quality if superior, organic material is used and it comes from a “Grade A” distillation process. However if it is from compromised raw materials and/or a poor distillation process, it will be a very low quality. Floral Water is often used for more expensive oils, such as Rose Oil, since it takes 5000 pounds of roses to make just one 1 pound of essential oil. 90% of what is sold in the United States as ‘pure’ essential oil is fragrance-grade and diluted. (The FDA has determined that a product need contain only 5% of the ingredient on the label in order to use the word pure.) These oils are found on the shelves of many health food stores and at online discount houses. They may be less expensive, but they will not be useful for healing. Do your essential oils have a shelf life of just a few years? [If so, this means they are probably mixed with a carrier oil (like almond oil) that will go rancid.] This means the oil is certainly not pure.